Scorpio is probably the most feared and yet the most revered sign of the zodiac. Most Scorpios would not hurt a fly for they are as gentle, caring, and generous as they can be hard, cruel, and mean. It really depends how they are treated. This is a sign which demands respect and usually gets it. Scorpions are highly sensitive, emotional creators who are so easily hurt that they cannot bear to show their feelings for fear of being ridiculed. Scorpios develop from an early age the ability to control such outer expressions of emotion, and remain dry-eyed. Scorpios do not forgive easily, if even at all, and are capable of holding a grudge for the rest of their lives. 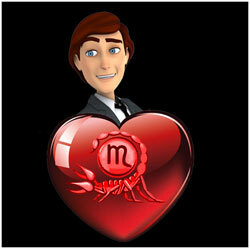 Scorpio subjects are hardworking, generous, and very determined. Once they begin a task, they will be dedicated to finishing it.Thye can become obsessively devoted to a person, a cause, or a project. From an astrological perspective, Scorpio natives are said to be highly sexual, intense, secretive and strange in nature. How well can they then maintain a compatible relationship with their partner is then a common question for all. Scorpios have an intense passion and a strong magnetic personality and au aura arund them that simply attracts potential partners. They are found to be too complex to handle by some zodiac signs though. Scorpios are highly emotional too that would drive their partners simply crazy. Their moodiness is another thing that has to be handled by a partner all through life. Scorpios are known to hold onto grudges for long and revenge is common in their life. This might however mar a good compatible relationship. 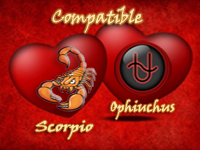 Scorpios like to settle down with a partner who they can simply trust them with no strings attached. Another negative about Scorpios in relationships is they are too jealous and possessive. In a social world out there you cannot always expect your partner always up there for you, for your every beck and call. Scorpios can sustain a compatible relationship with their partners only if they learn to control their impulses. 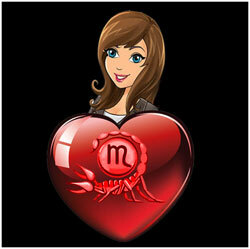 The positives of being a Scorpio are that they are quite straight-forward and determined. They help their partners to bring out the best in themselves. You are highly romantic and sexually oriented that partners would be satisfied on a sensual level. The zodiac signs that can handle your jealousy and appreciate the intense passion can thrive in a compatible environment. Scorpios learn to settle down in a compatible affair after learning lessons the hard way in life. If they appreciate the love and commitment of their partner then compatibility shall persist. A Scorpio personality is generally compatible with an Ophiuchus. Though both of them are emotional, secretive and jealous to their core, Scorpio can accept the extrovert nature of the Ophiuchus and their relationship with all. And also they can take to heart the adventure-loving nature of Ophiuchus.